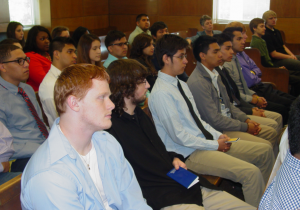 On May 3, 2013 the East Texas Chapter presented the 7th Amendment Symposium to the Chapel Hills High School AP Government classes at the Smith County District Courthouse and the US District Courthouse in Tyler, Texas. 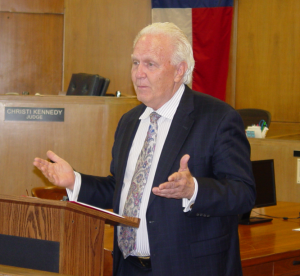 The program, presented in conjunction with Law Day, was moderated by Jack Walker and set out the significance of the 7th Amendment and the impact of the jury trial system in the community. Blake Bailey provided a history of the 7thAmendment. 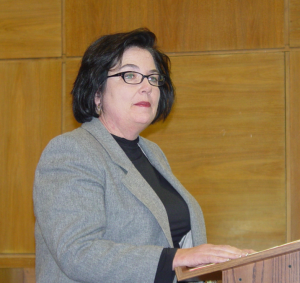 Judge Christi Kennedy, 114th Judicial District, explained the process of the state court system and handling of civil jury trials. In the afternoon, Jennifer Ainsworth and Andy Tindell discussed the distinctions between the federal and state court system. Finally, Judge Judith Guthrie, US Magistrate Judge of the Eastern District of Texas, spoke of the role of the federal judiciary and it’s relationship in the jury trial system.